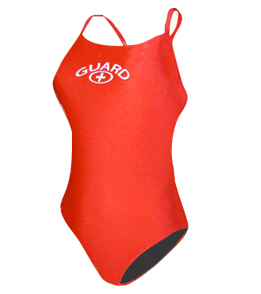 Made to fit the female form and the demands of a professional lifeguard, our Women's Thin Strap Lifeguard Swimsuit is recognized for quality, comfort, and durability. featuring thin straps that offer continuous support throughout the day. You can trust this lifeguard bathing suit to stand against the elements. - Thin-strap offers greater range of motion. - Fully lined front, back and rear. elastic for durability, function and fit.